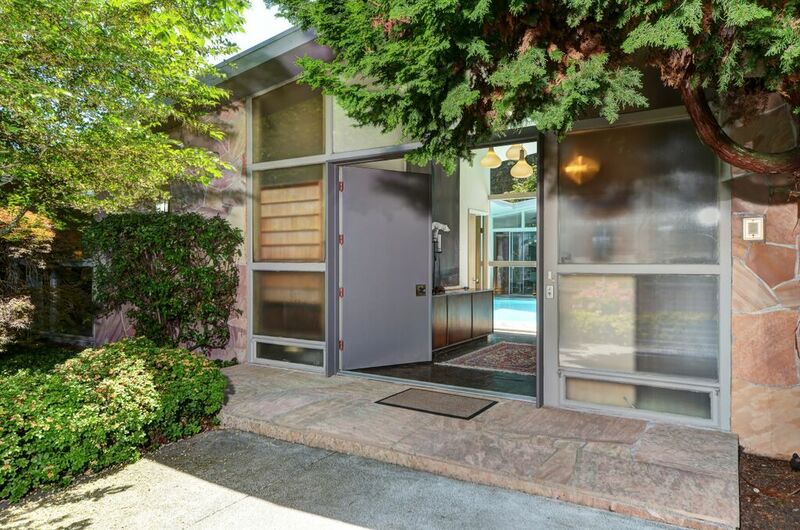 A Seattle Real Estate dream come true: Mid-century perfection abounds in this sprawling atomic ranch in coveted Salmon Bay neighborhood of Ballard in Seattle. Situated across from Salmon Bay park on a secluded corner lot, this classic oasis features mature cedars, a large covered patio and a gas fireplace. 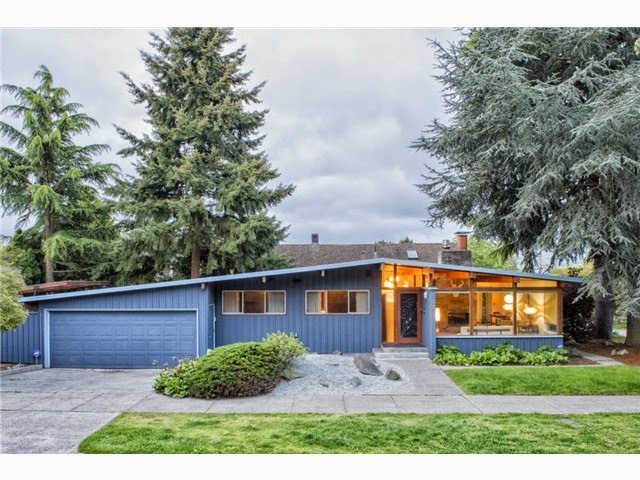 Main floor features updated stainless appliances in beautiful period kitchen, gorgeous mid-century living room, large master, full bath, and 2nd BR. Basement features additional non-conforming BR and bath. 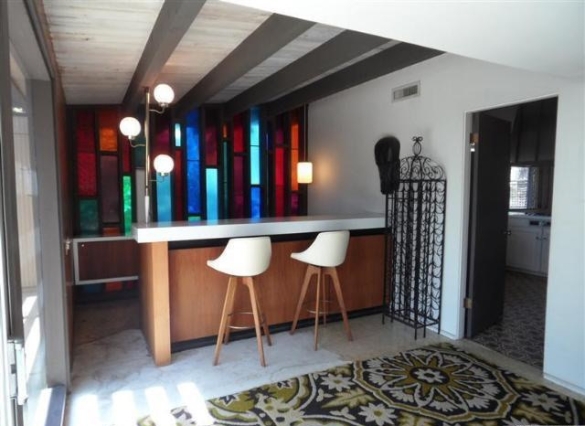 The home comes complete with an Egyptian movie theater and a tiki bar! You're going to love this Atomic Ranch!